CENTRAL — Now that fall is in the air, the people of Central are once again preparing for Fall Festivals, which take the place of Halloween for most Central families. During the week leading up to Halloween, churches in Central are busy preparing major events, which compete with Halloween and “Trick or Treating.” Thousands of Central families attend Fall Festivals at more than a dozen churches in the Central area. At Fall Festivals, there are rides, contests, prizes, and lots of food and drink. Halloween can hardly compete. 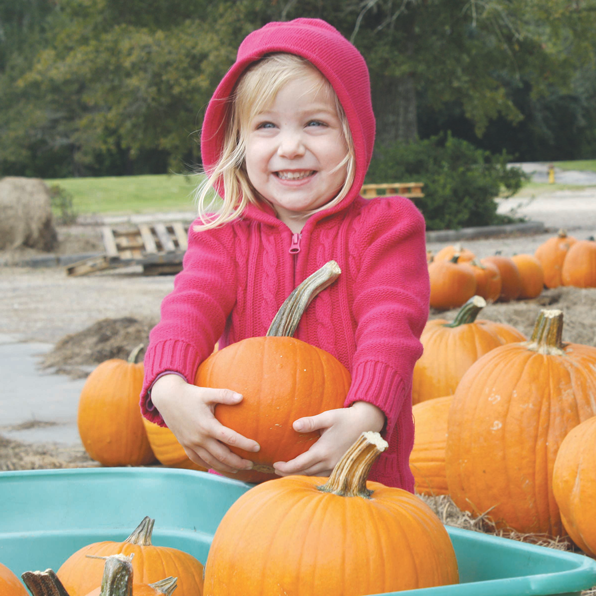 The annual Pumpkin Patch is already underway at Blackwater Methodist Church, and churches are beginning to announce their Fall Festival schedules. Read the Oct. 25 issue of Central City News for a complete listing. Wednesday, October 31 • Sandy Creek Fall Festival • 6 to 8 p.m.
Sandy Creek Baptist Church, 22834 Liberty Road will have a Fall Festival. Everyone is invited for fun, games, candy, prizes, food, and drink. Wednesday, October 31 • Galilee Fall Festival • 6 to 8 p.m.
Galilee Baptist Church, 11050 Greenwell Springs-Port Hudson Road, will have a Family Fall Festival. Come for a night of fun with carnival games, inflatables, and even a dunking booth. The whole family can enjoy a bowl of jambalaya and candy of course. Come and sign up for a chance to win a 40” flat screen TV, Wii bundle with four games and extra controller, a $200 Bass Pro gift card, a Ricoh color copier, or many other great door prizes. For information, call 654-5633. Wednesday, October 31 • KidZone Karnival Fall Festival • 6 to 8 p.m. Victory Harvest Church, 3953 North Flannery Road, invites you and your family to join us for exciting games, candy, prizes, food, and fun! KidZone Karnival Fest Fall Festival is a safe alternative to Halloween for your children. There will be a Fire Safe House, candy cannon, giant slide, hay ride, Patches the Dog, obstacle course, and much more. Send Fall Festival information to centralcitynews@hotmail.com or capitalcitynews@hotmail.com.